It's what we've been doin' for 59 years! to a cozy & comfortable house! Home comfort you can count on! Keep your home clean n' healthy! Our state-of-the art installations will lower your energy bills. 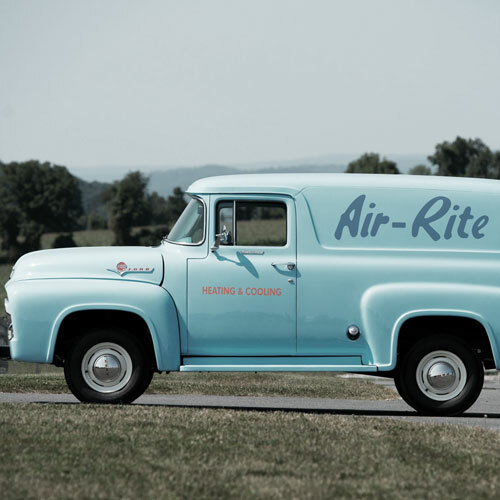 Air-Rite Heating & Cooling, Inc., Founded in 1959, as “Home Services,” our name has changed over the years, but we’ve stayed true to our original commitment to old fashioned values. The VanSomeren family stills owns and operates Air-Rite Heating & Cooling, Inc., and maintains higher standards of customer service, workmanship, and overall quality. We’re exceptionally proud of our long and distinguished history, and the loyal customers who continue to recommend and count on us for their indoor comfort. Because we do great work, the right way, refusing to cut corners or settle, we continue to expand our reputation as the trustworthy choice for Air Conditioning systems, HVAC installation, maintenance, and repair across The Greater Chicagoland Area including Burr Ridge, Wheaton, Huntley, Aurora, Vernon Hills & Naperville, etc. Drawing from our extensive experience with extreme local weather, Air-Rite Heating & Cooling, Inc. has tailored our products and services to better answer your need for affordable, reliable, and enjoyable comfort. 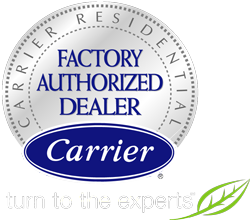 As a Carrier Factory Authorized Dealer, we specialize in industry-leading heating and cooling systems, such as air filters, furnaces, Hvac’s that enhance your indoor environment.From customized control over every factor to unprecedented efficiency ratings and ease-of-management, Carrier systems raise expectations. And when you trust your project to the experts from Air-Rite Heating & Cooling, Inc., we provide the information, accurate sizing, and proper installation that ensures optimum and sustainable performance. Contact us at (630) 966-8100 for flexible scheduling, and more information about our financing and available rebates. When you invest in a home, you do so with the specific goal of having a comfortable place to reside in. However, things can and do go wrong. One of the most common pitfalls of home ownership is air conditioning problems. Whether it’s an issue with the air filters or any other component, the air quality in your home can all too easily nosedive, leaving you scrambling to restore it back to its proper condition. However, it doesn’t have to be this way! Give us a call at Air-Rite Heating & Cooling, and we’ll be sure to resolve your air conditioner issues. Air conditioning problems are the last thing anyone wants to deal with when knee-deep in the summer months. All that sweltering heat can quickly become uncomfortable, inescapable and even dangerous. At Air-Rite, we make reliability our business! When you contact us for help regarding your air conditioner issues, we’ll dispatch a qualified expert to look at your unit, determine the best course of action for A/C repair and get to work as quickly and conveniently as possible for you. On top of our services for clean and cool air, we also tend to your needs throughout the winter months. Everyone has the right to reliable heating when the weather is at its coldest. If your heating system simply hasn’t been checked in a while or is in serious need of attention, you can always rely on us for high-quality heating systems and furnace repair. At Air-Rite Heating & Cooling, we care about your comfort all year round and are here to help you! Call Air-Rite Heating & Cooling, Inc. for Heating & Cooling Repairs, Service, & Installations! Our team of licensed technicians is factory trained and regularly updated, combining expertise with in-field experience and total dedication to your satisfaction. Whether you’re calling on us for a new installation, system replacement, seasonal upkeep, or skilled repair, we take the time and care to optimize equipment for maximum efficiency, longevity, and capacity. The team from Air-Rite Heating & Cooling, Inc. is always available when you are confronted with a problem, offering 24/7 Emergency Service across Greater Chicagoland including Burr Ridge, Wheaton, Huntley, Aurora, Vernon Hills & Naperville. We make sure the weather doesn’t dictate the health, safety, or usability of your home or commercial space. Let the professionals from Air-Rite Heating & Cooling, Inc. keep you perfectly comfortable.